The Xbox One X, Microsoft's newest gaming console, represents a huge leap forward for performance, both from Microsoft's older Xboxes and Sony's PlayStation 4 lineup. The One X has 40% more power than any other console, with a 2.3GHz processor, 12GB of memory and 6-teraflop graphics processor. While all of those numbers may read like gibberish, in computing higher numbers are almost always better: the Xbox One X has a faster processor, more memory, and faster graphics than any previous console. To see how much better that is than the latest consoles, all you have to do is look at the numbers. The last Xbox (Xbox One S, released in 2016) sported a 1.75GHz processor, 8GB of memory, and a 1.4-teraflop graphics processor, making the One X a pretty big improvement. The latest Sony PlayStation (the PlayStation 4 Pro, also released in 2016) is a bit more competitive, with a 2.1 GHz processor, 8GB of memory, and a 4.2-teraflop graphics processor. While you'll see that the PlayStation 4 Pro is closer to the Xbox One X in terms of raw power, the One X still represents a big improvement in processing power. All of that processing power allows the newer consoles — the Xbox One X and the PlayStation 4 Pro — to power games with stunning 4K graphics. 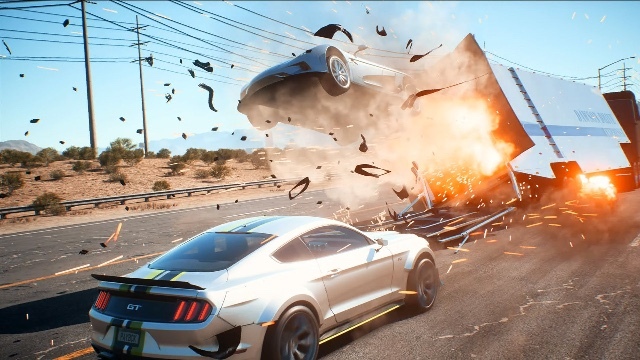 Even if you haven't upgraded to a 4K TV just yet, your games will look better... just not as much better. But does that make the Xbox One X worth buying? Let's take a look at what the new Xbox has to offer compared to other gaming consoles. It doesn't matter how powerful a game console is if it won't play the games you want. But it's hard to judge which console is better based on the available games because it's subjective. All available consoles offer a range of great titles, and many of the biggest games will be available on multiple consoles, so it may not matter what you get. You'll notice there are fewer titles on the Xbox list than the PlayStation list. Microsoft showed off a lot of games at E3, but many of them were smaller indie titles or cross-platform titles. While Xbox is home to franchises like Gears of War and Halo, we probably won't see anything from these franchises this year. Can I play my old games? It's a lot easier than the PlayStation 4's backward compatibility, which only offers classic games for sale in its store or via its PlayStation Now game subscription service. But if you're looking to enjoy old PlayStation games, you don't have a choice: you can either re-buy them or keep an old PlayStation around to play them on. If you don't play a lot of games, you may not understand just why backward compatibility is so important. The trouble is that players may invest hundreds or thousands of dollars into games for their console — and when a new console is released, suddenly those games may be worthless. Without backward compatibility, you can't revisit those games unless you keep your old game console around (and hope it keeps working). With true backward compatibility (even though it doesn't work for every game in the Xbox library), the Xbox One is a good investment for anyone with an existing library of Xbox games. Winner: Xbox One, though it doesn't actually matter which model of Xbox One you buy. On paper, the Xbox One X is a lot more powerful than its rivals. But that's on paper, and the evidence of your eyes may tell you something different. Because few of us have 4K TVs — and the quality difference between 1080p and 4K can be difficult for the naked eye to distinguish — being able to game in 4K may not add that much to your gaming experience. The improved processing power means animations will be smoother and loading times quicker for any game you play on the Xbox One X — but as for graphics quality, you may not be able to see the difference. However, if you're a visual connoisseur who's already invested in a 4K setup, the Xbox One X is the console you want. Winner: Technically, the Xbox One X. However, if you haven't upgraded your entertainment system to 4K, you won't see games in their full 4K glory — and it's a bit tougher to justify the upgrade. The biggest failing of the Xbox One X is its high price. 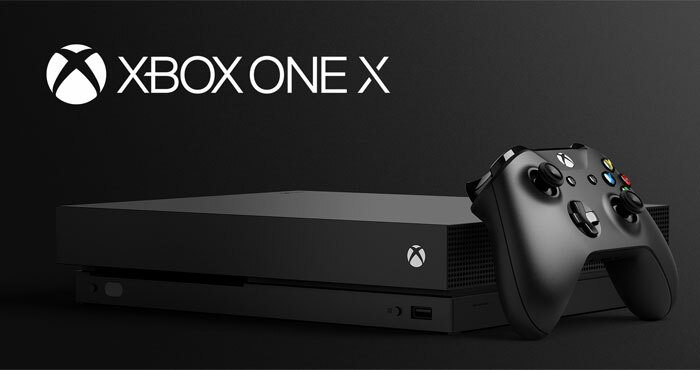 While we always expect new hardware to come at a premium price, at $499, the One X is priced at the top of the console market. The PlayStation 4 Pro costs $100 less for a feature set that will offer similar performance for anyone without a 4K TV, and the older Xbox One S ($249) and PlayStation 4 ($299) are much more affordable. However, the price difference isn't as big as it could be. While Microsoft shaved $50 off the price of the One S this week, Sony kept its PlayStation 4 pricing as-is. That means that while the PlayStation 4 Pro (a good value for gamers who want 4K) costs less than its Microsoft equivalent, the Xbox One S is less than the PlayStation 4 — which means Xbox is a good buy for anyone who doesn't need 4K. Winner: The PlayStation 4 Pro has the best price point for 4K support, but if you don't need it, the Xbox One S is more economical. What if I want to play VR? Some companies think VR is the next big thing in gaming and spend a lot of time hyping it — but. this year, Microsoft wasn't one of them. The company didn't mention VR at all in its press conference, which is good news for gamers who don't care about virtual reality, but bad news for gamers who want that immersion. PlayStation, however, offers its own PlayStation VR headset, which costs. $499 when bought as a bundle that includes a camera and motion controllers for the full VR experience. That's a pretty big price considering you need a PlayStation 4 console, too. Still, if you want to play in VR, PlayStation VR is still more economical than the Oculus Rift ($499 without any accessories) or HTC Vive ($799, including controllers and base stations), both of which require a fairly high-end gaming PC. PlayStation VR also offers a solid selection of titles — including some games that may turn you into a true VR believer. You can play Resident Evil 7, Batman Arkham and Star Trek: Bridge Crew right now, and at E3 we found out that hit games Fallout 4 and The Elder Scrolls: Skyrim would be coming to PlayStation VR, too. Winner: If VR is a priority, right now PlayStation 4 Pro with PlayStation VR is your only option. What about the Nintendo Switch? We haven't mentioned Nintendo's latest console because it's doesn't quite fit the mold of gaming consoles. The Switch ($299) is such an unusual gaming console — and Nintendo such an unusual gaming company — that it's hard to do a straight-up comparison. The Switch's unique design allows it to be an at-home console that plugs into your television as well as a portable device for gaming on the go. The Switch simply can't compete with Xbox or PlayStation in terms of raw power: its 1.02GHz processor, 4GB of memory, and 0.5 teraflop graphics processor are just pathetic compared to the competition. But Nintendo's selling point isn't power: it's versatility. The fact that the Switch doesn't have the horsepower of the other consoles lets it be small and portable (consider that the Xbox One X weighs nearly eight and a half pounds). If you want the flexibility to start playing games at home and keep playing them on your commute or when visiting a friend's house, Nintendo Switch is the only device that offers it. And if you want to play Nintendo's games, like Mario, Zelda, Splatoon, and Metroid, the Switch is the only game in town. When can I get the Xbox One X? The Xbox One X will hit stores on November 7, so if you want to pick up a new gaming console right now it isn't an option. However, it is still coming soon — and will be here in plenty of time for the holidays if you're looking to buy a gift. Look for a pre-order to be available later this year.